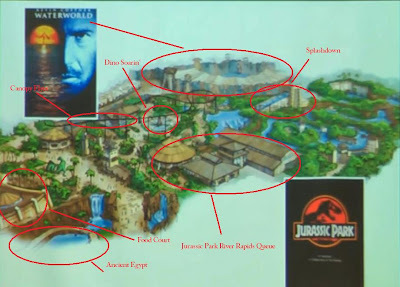 Jurassic Park trilogy will be brought to life in this unique area of Universal Studios Singapore. 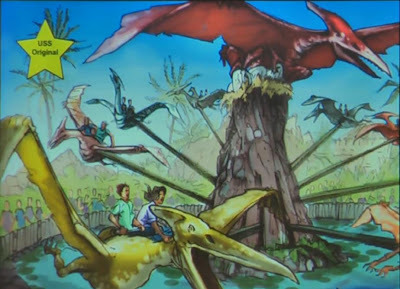 Life sized dinosaurs will be authentically recreated in this area. 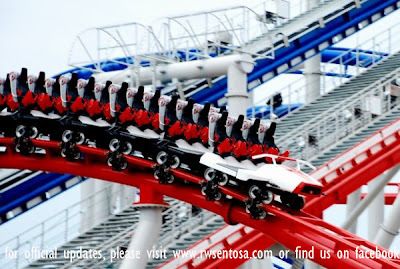 This is the largest theme land in the whole of Universal Studios Singapore, with 5 Unique attractions, 4 of which never seen before in other Universal Studios. This land is highly immersive, with lush vegetation and recreated structures from Steven Spielberg's hit movie. Note: Waterworld is based on the film of the same name, seen at other Universal Studios Parks around the world. It will be covered in another article. 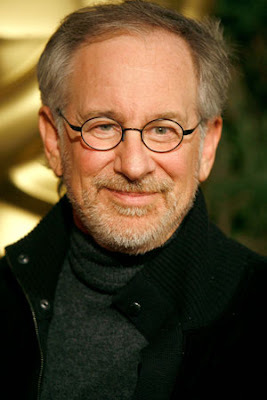 It is based on the blockbuster movie Jurassic Park by Steven Spielberg. 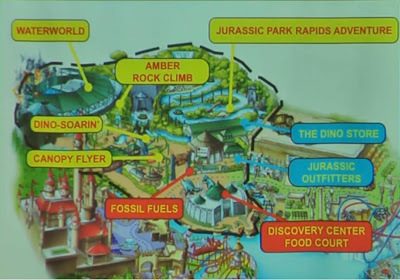 It is a re-imagining of the classic Universal Studios attraction Jurassic Park River adventure, located in the other Universal Studios theme parks around the world. One thing unique about it is that it uses circular rafts rather that boats or log flumes. This is a version of a Skylift that uses rigid arms and the vehicle is propelled by a mechanism on the track, rather than the original Skylift rides where the whole track moves. It allows the whole family to sit comfortably in the vehicle and have birds' eyes' view of the land while enjoying the breeze. 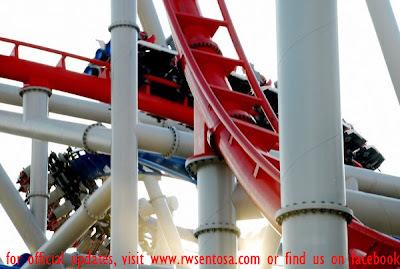 A theme park classic, a Centrifugal ride, like Dumbo the flying elephant, Astro Orbiter etc. 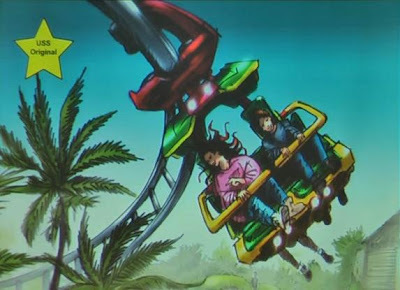 What is different in this ride is that there is a joystick that allows guests to control how high or low the vehicles flies. 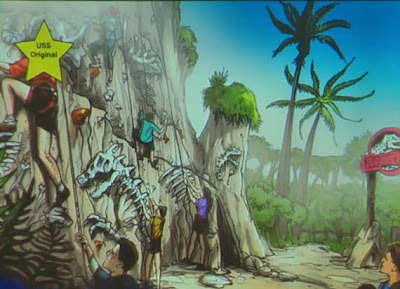 A rock climbing experience for the whole family in a safe environment. 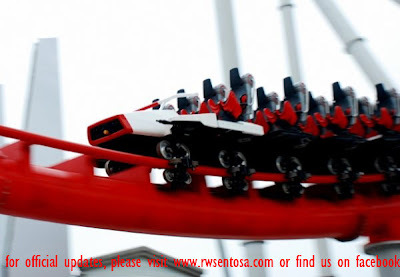 Christmas is coming, so this is my Christmas Wish List for Universal Studios Singapore. So if Santa is reading, please seriously consider my wishes. Although I hope that Universal Studios Singapore will be popular, huge mobs of crowds will not only spoil the whole experience, but it will also ruin all the fun of Universal Studios Singapore. Number 2 A Nightly Fireworks/ Lagoon Spectacular. Like all good theme parks, Universal Studios Singapore should have a lagoon/fireworks show to keep the guests in for the night and to cap off the guests' experience. Given that Universal Studios Singapore already have a lagoon, adding a lagoon show will be easy. Number 3 A Halloween Party/Event. 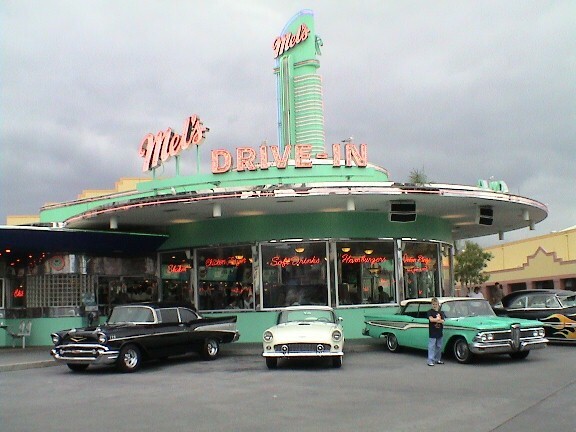 The american versions of Universal Studios have it. 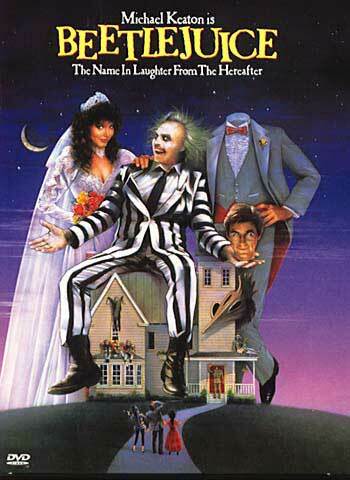 It is a hard-ticketed event where there will be fun houses, haunted houses, temporary attractions etc that brings Halloween attractions to a whole new level. Number 4 Constant updates and refurbishments. As you know, movies are one of the easiest things to get outdated, so I wish that there will be refurbishments and expansions on new movies, and old attractions based on outdated movies will be swapped out. Number 5 Local passes/ Annual passes. All the other Universal Studios have local resident passes or annual passes, where there will be a discounted price for people who will come very often. This is very important as in order to keep the locals coming after their first visit. And living in Singapore, I hope there will be a discount for us. 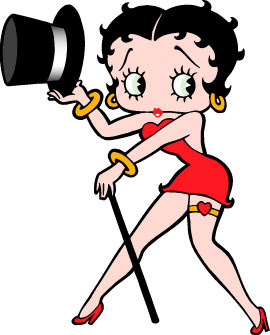 This is the main headliner attraction of this land. It is an indoor roller coaster. 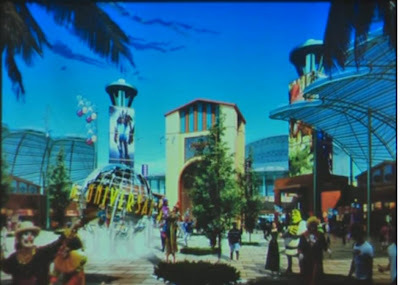 People from Universal Creative (those who designed this park) calls it a psychological thrill ride, because you are in complete darkness while riding through this roller coaster. 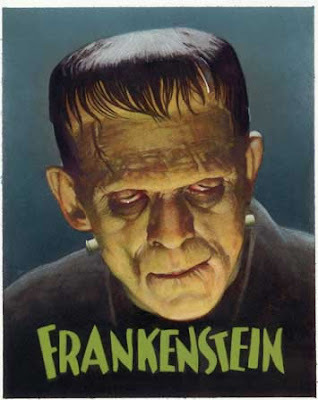 This allows you to buy into the story and suspend all disbelieve. Very intense, a whole lot of fun and a lot of screaming on this ride. 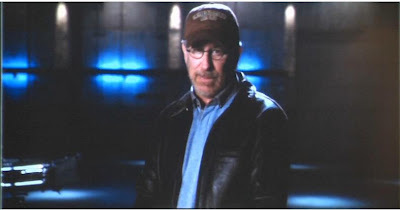 The story to this ride is that you are exploring an ancient Mummy tomb when you heard of the tale of Imhotep, and you have to destroy the book of the living before him can get to it. So you jump onto these mine cars and you start exploring, when Imhotep discovers you and he chases you around this tomb, each time escaping him narrowly. 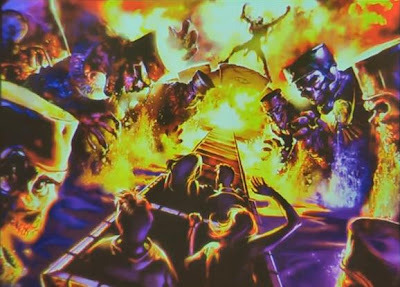 There will be amazing effects such as the fire effect seen in other versions of this ride, shown below. 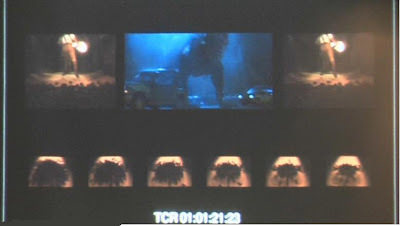 Another cool effect that is present in other incarnations of the ride is the Scarab beetles effect, where the beetles appear on the walls with help of projectors, as the added special effects of air jets at riders' feet and a spray of water from above create the illusion of the vehicle being overrun by the bugs. 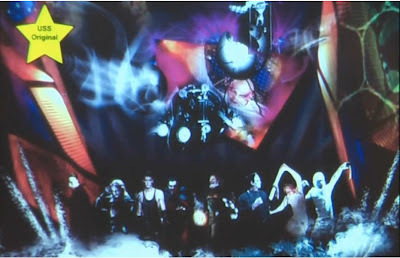 There may even be a backwards section of the ride, where the vehicles move backwards through complete darkness with Imhotep chasing behind you. 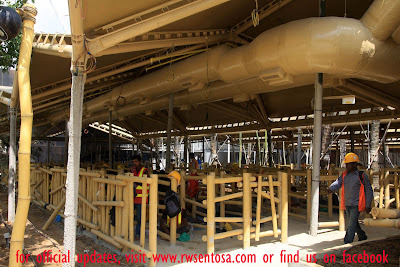 This a family fun ride, where the whole family can ride the jeep and explore the excavation site, which ties in very well to the theme of this whole area. Imagine walking with Pharaohs. 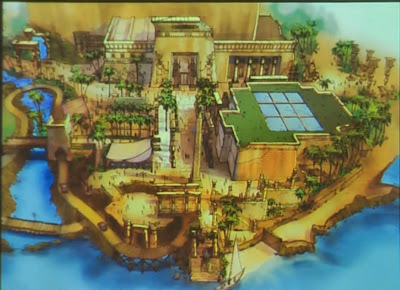 Imagine the grandeur and the splendor of ancient Egypt coming to life once again. 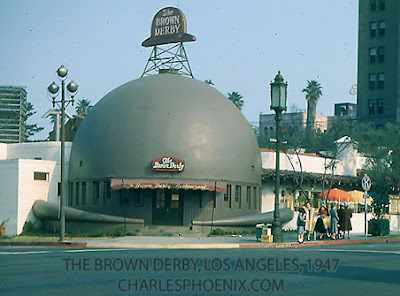 Imagine the luxury of an era long gone. Imagine the culture and the complexity of this magnificent civilization brought to life before your very eyes. Meet Universal Studio Singapore's most exotic, and culturally rich land, Ancient Egypt. 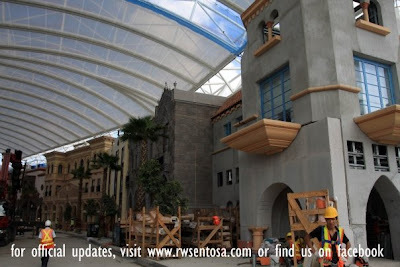 This land is the home of 2 mega attractions, The Revenge of the Mummy and the Treasure Hunters. This two attractions cater to all ages. Now add this two attraction to a wide array of shops and dining (or should I say feasting) options, spice it up with some authentic theming elements, and you get one of the most picturesque land. This land really brings story telling to a brand new level, where you are in a giant movie set and you are the actors, making memories and having fun. The story of this theme land is that you are the archeologist who discovered the ancient ruins of an Egyptian civilization, and this land completely does that. 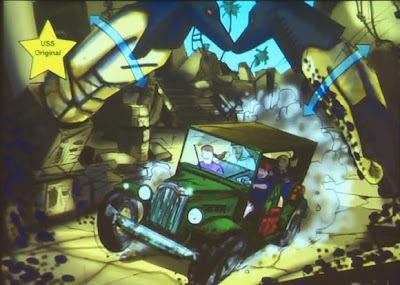 That explains why there is the Treasure Hunters ride, which is the jeep that you, the archeologist sits on to excavate the ruins. 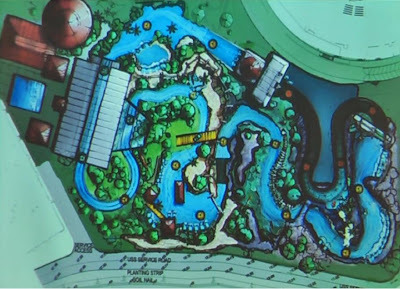 While is Mummy coaster is the centerpiece of the land, and the entire ruin is built around the tomb of the Mummy. 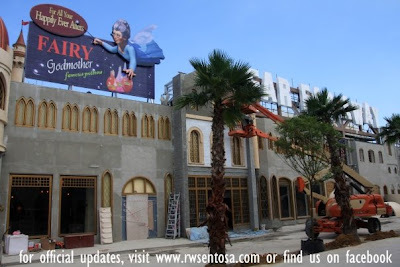 This is a construction picture of Far Far Away's glamorous Romeo Drive which contains the nightspots of the town such as Hook's Knight Club and Donkey live! Today, I need your help. 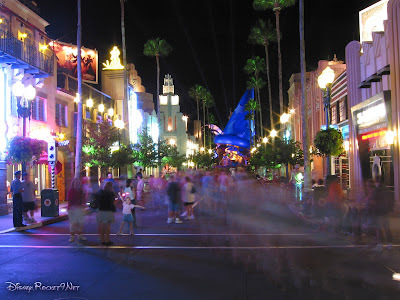 I found 2 images from the internet marked as queue areas for Universal Studios Singapore rides, but I could not figure out what attractions' queues are these. Please leave a comment on what you think these queues are. Any speculations are welcomed. Please leave your comment. Thanks. Images belongs to respective owners. When Universal Studios Singapore opens next year, one thing that hits you as soon as you enter the park is the live entertainment. 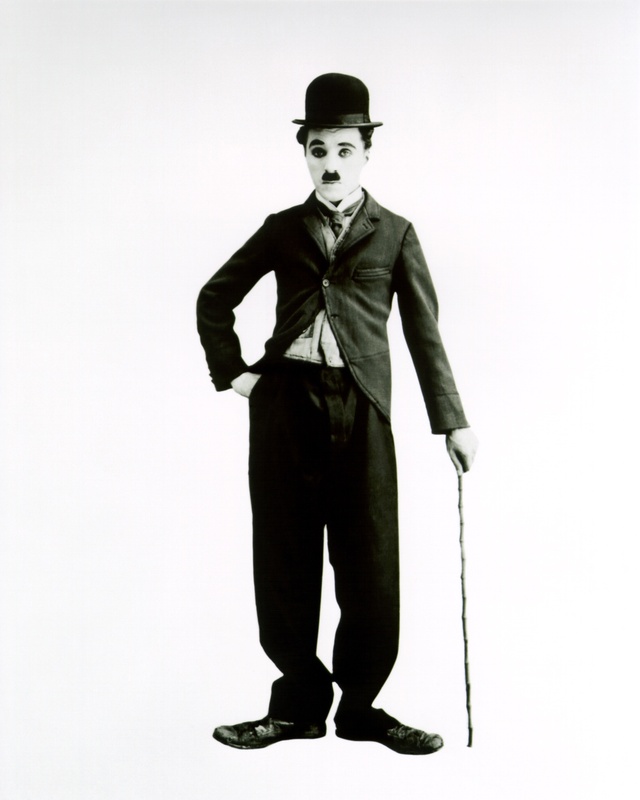 There are going to be actors dressed as different characters in all the areas interacting with visitors, signing autographs and entertaining visitors as they walk through the park. 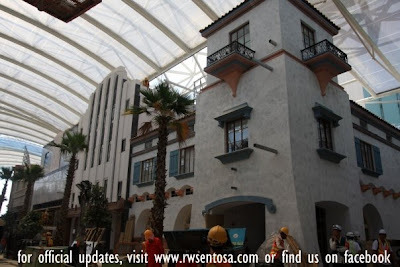 This is going to add to the liveliness and the vibrancy of Universal Studios Singapore. Well, New York street is no exception. 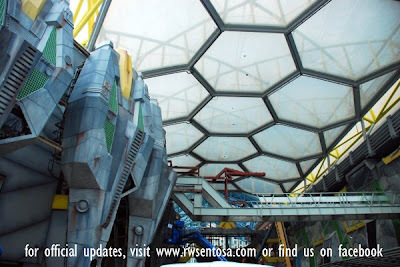 There will be live acts, so there will constantly be live entertainment around Universal Studios Singapore. There are going to be no retail shop in this area, however, there will be two excellent dining options here. 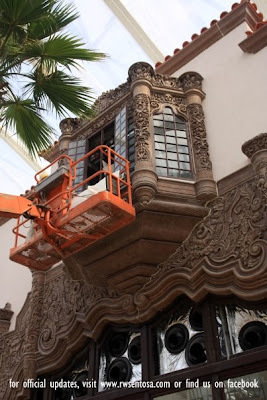 It is going to be a full service restaurant serving authentic New York Grill with a rich woodwork interior reminiscent of a 1940's NY dinner house. Menu includes classic New York grill entrées, sandwiches, soups and salads; along with a fresh oyster bar and Pacific Rim influenced "East meets West" dishes. A Pizza Parlor selling a wide variety of traditional Italian pizzas as well as some local Singapore favourites including Hawaiian pizza, tandoori chicken pizza, vegetarian pizza and more. 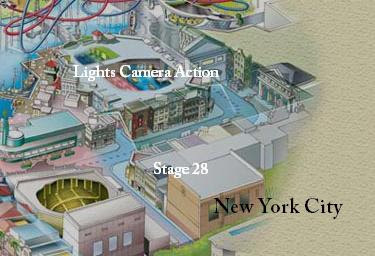 There are 2 attractions in this area: Lights Camera Action hosted by Steven Spielberg and also Stage 28. 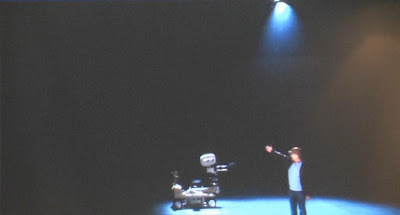 Lights Camera Action is a behind the scene movie making experience. 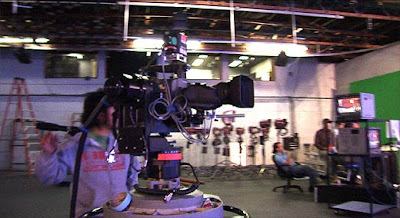 Guest are able to come in to see a real soundstage, where you will be introduced to what movie making is all about. 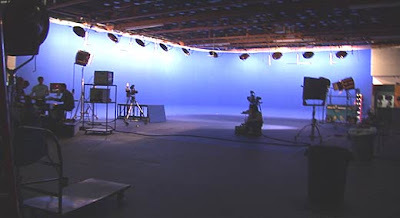 Then, you will walk onto a "hot set", a set where filming is taking place. 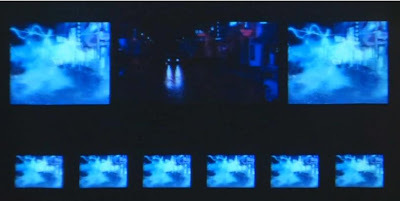 Right before your eyes, you are going to see explosions, water effects, you are going to see rain, you are going to feel the wind, seeing New York city being hit by a major hurricane. From there, the guest then proceed into the main soundstage to watch the experience unfold before their eyes. For the main show, I do not have much information, and even if I have, I am also not going to spoil the experience for you by telling you how it is like. 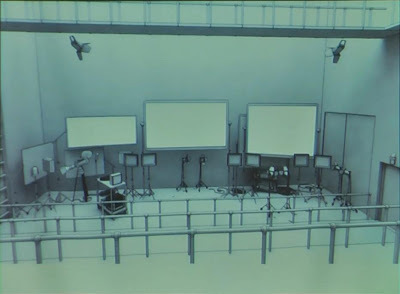 Stage 28 is a actual, working soundstage/production centre. 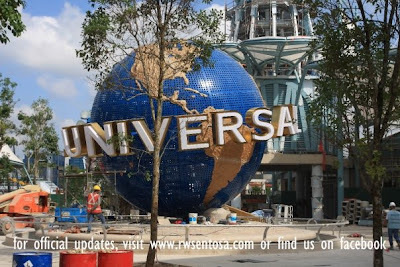 Universal Studios Singapore will be partnering with people from all around the world to bring their movies and television commercial production right here to Universal Studios Singapore. This is going to be one of the best soundstage in the whole of Asia. This venue is also capable to holding big events, like parties, company staff trainings, ceremonies etc. There will be many live shows in the New York area. 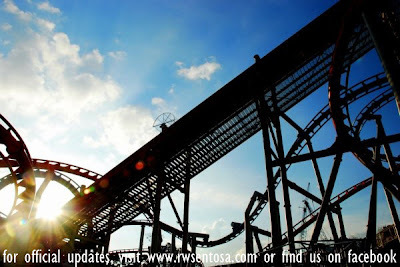 The New York Area-home to Universal Studios Singapore's film making attractions. 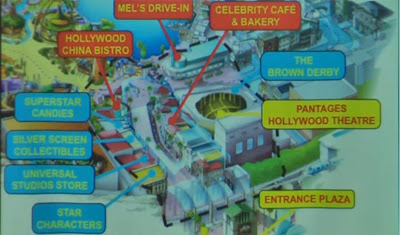 It will recreate the look and feel of the Big Apple, complete with shopping and dining options as well as live performances by characters on the streets. Just like the Hollywood area, New York streets is also going to have a shade cover to make sure that the temperature is ideal all day long, and to provide shade and shelter. Cool air will be blown into this area so as to ensure that it would be comfortable in this area. 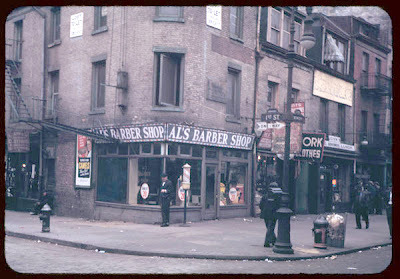 New York Street represents the NY of 1940s. 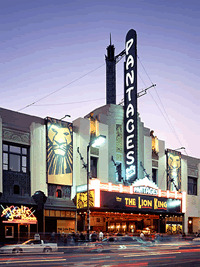 The facades will be very authentic. There are also many small individual environments like alleys, streets and corners for people to explore. It will also serve as great photo opportunities for the family. 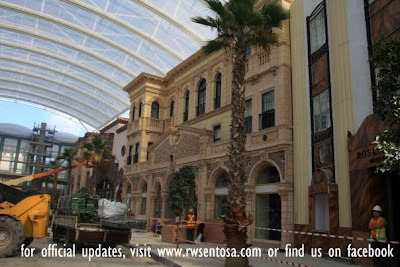 Here is one question for you to think about: since this area is the home to Universal Studios Singapore's film making attractions, do you think that New York street area is meant to represent a backlot set of a studio where filming is going on, or is it supposed to be representing the real New York street? 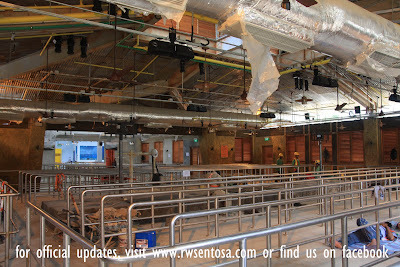 A visitor to USS Singapore in the first few weeks or months of operation will notice that instead of buildings on two sides of New York street, there are only buildings on one side of the street, while there are some pretty heavy construction going on the other side of the street. No, this isn't any plan to build skyscrapers in this New York street or anything like that, in fact, the finished product would not even add to the New York area. 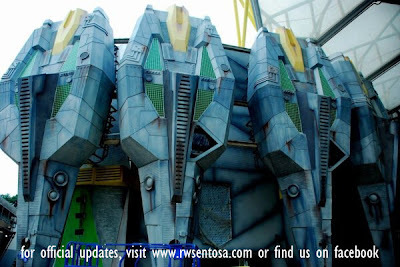 This is construction of Transformers ride which will open in 2011 in Sci-fi city. 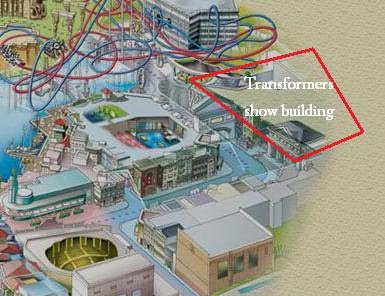 However, the show building extends into New York street, so the facades of the buildings in New York Street is literally build against the show building of the Transformers ride. 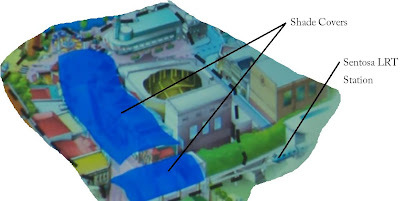 So would this whole in the street spoil the theming and the atmosphere of this area? Yes, definitely. Would this be worth it? 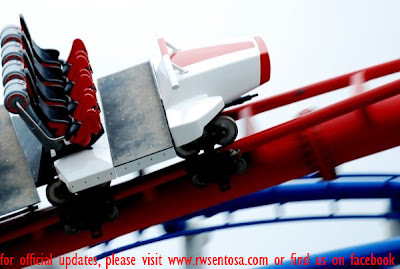 Yes, definitely, as we will be getting a new ride based on Transformers. All images belongs to respective owners.